At first Gospel singer Kim Burrell came under fire for the homophobic comments she made during a sermon & many religious people came to her defense who also agreed with her. 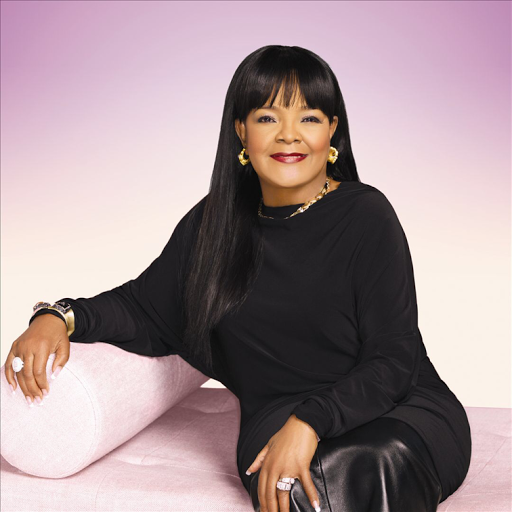 Now just a week later Shirley Caesar has chosen to take sides with Burrell as she has gotten on her soapbox to further the continued hate. This headlining story continues to spread like wildfire! 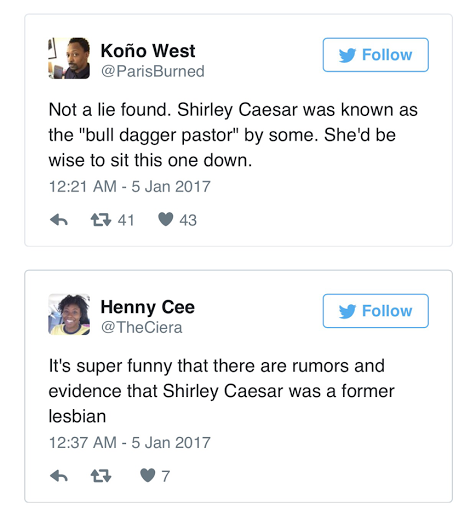 After Shirley's video hit the internet many people began to tweet about her once being a lesbian which was very shocking to many. The issue was that people were very confused by her statements regarding homosexuality when she once was someone who like to have a dip in the lady pond. One tweeter even said that she was known as the "bull dagger pastor". The sad thing is that many people who believe in GOD have left the church & never returned due to the hypocrisy that dwells in the pulpit. Many pastors, ministers & etc. have made it their mission to make certain types of people feel unwelcome & unloved by GOD, but the reality is that they also continue to sin everyday in their own lives. When will they realize that NO sin is bigger then the other?